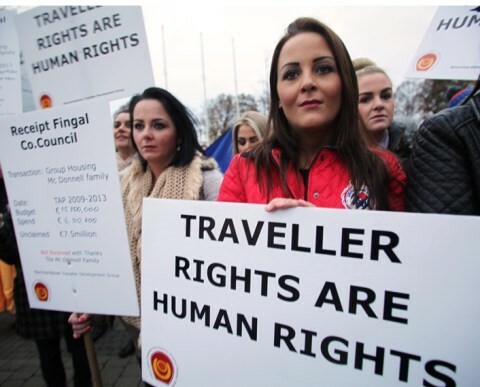 While Ireland has garnered much international goodwill in the wake of recent referenda on marriage equality and abortion rights, the country remains a laggard when it comes to tackling anti-Traveller racism and discrimination, with local authorities often the worst offenders. Official ethnic recognition has yet to translate into anything resembling justice and equality. Local authorities consistently fail to comply with their statutory responsibilities and meet their targets to provide adequate and culturally appropriate accommodation for Travellers. Worse still, government data revealed earlier this year that local authorities failed to draw down almost €4 million of a €8.8 million government pot, designated for Traveller accommodation in 2017. Five of these local authorities left their entire allocation unclaimed, while 14 local authorities failed to spend even half of the available funds. The NTRIS makes no provision for incentives or sanctions to ensure that local authorities meet their legal obligations. The strategy lacks impact indicators, a monitoring and evaluation framework, and there is neither a dedicated budget allocation nor a clear timeline. In the December 2017 progress report submitted to the NTRIS steering committee, 47 of the 149 strategy actions are completely blank, seven are said to be ‘on track’ and most actions are deemed to be ‘ongoing’. Without impact indicators or a clear timeline, Traveller and Roma organisations are concerned that monitoring will amount to little more than a pro-forma paper exercise, bearing little relation to progress or regress on the ground. Data cited in the Monitor provides a stark account of the prejudiced public attitudes towards Travellers and Roma: 31% of the general population expressed a negative view of Irish Travellers; 91% would not want a Traveller or Roma marrying into their family; 75% would not accept a Traveller or Roma as a colleague; and 22 26% found it quite acceptable that Irish Travellers be refused entrance to pubs, shops and restaurants. Prejudiced attitudes translate into discriminatory practices: 62% of complaints made under the Equal Status Acts in 2016, indicated membership of the Traveller community as a ground. National survey data in 2017 found that Irish Travellers are 38 times more likely than “White Irish” to report discrimination in shops, pubs and restaurants; and 25% felt discriminated against in the past year by a housing authority. The Monitor finds that the State has failed to address anti-Traveller racism at an institutional level. While the state maintains that racism is addressed in the Migrant Integration Strategy, this strategy does not include Irish Travellers, nor does it address the specificities of anti-Roma racism. Neither is there any hate crime legislation in Ireland. Researchers have documented how this legislative lacuna is exacerbated by a lack of guidance and direction to police and prosecutors regarding the recording and prosecution of hate elements which often results in bias motivations disappearing from the criminal justice process. Online hate speech and negative media reporting from some media outlets further adds to the stigmatization of Travellers and Roma, and the Monitor calls for a comprehensive National Action Plan Against Racism. Following the tragic loss of life in the Carrickmines fire in 2015, a national fire safety audit in Traveller accommodation was rolled out, with the declared aim to prevent further deaths or injuries. Despite assurances that this exercise would not result in forced evictions, a number of evictions took place, leaving families homeless or forcing people to stay at homes and bays of extended family members. In 2016, 23 families were evicted from Woodland Park halting site on the basis of fire safety concerns. This measured report comes with practical recommendations about what needs to be done to break with Ireland’s shameful history of racist exclusion, which as Martin Collins put it, “systematically humiliated, degraded and abused” the community for decades. State policies in the past sought to “erode and erase Traveller culture.” On the evidence of this report, state policy in the present is failing to make amends for this history of oppression. Justice demands that the future must be different. *The report has been prepared as part of the Roma Civil Monitor pilot project, ‘Capacity-building for Roma civil society and strengthening its involvement in the monitoring of National Roma Integration Strategies’. The pilot project is carried out for the European Commission, DG Justice and Consumers. It is coordinated by the Central European University (CEU), Centre for Policy Studies (CPS), in partnership with the European Roma Grassroots Organisations Network (ERGO Network), the European Roma Rights Centre (ERRC), the Fundación Secretariado Gitano (FSG) and the Roma Education Fund (REF) and implemented with around 90 NGOs and experts from up to 27 member states. To access the full report see: https://bit.ly/2PmC7Ru. For reports on other EU Member States see: https://bit.ly/2MGDTjv.